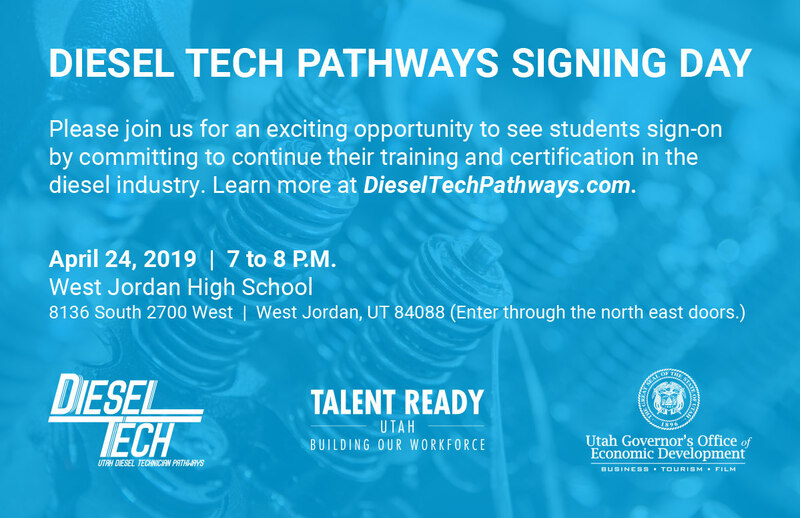 The Diesel Tech Pathways Signing Day is an annual event where high school seniors sign their letter of intent to finish their pathway and complete their certification to become a diesel technician. This event will bring together over 100 high school students, over 50 diesel tech companies, school district leaders and government leaders. Following a short program, students will have the opportunity to take the stage with their peers and sign a letter of intent, showing their commitment to continuing their training in the diesel industry. Students will receive swag items from post-secondary institutions, as well as the Diesel Tech Pathways organization.